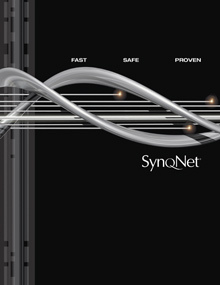 Launched in 2001, SynqNet is a digital machine control network specifically designed to meet the flexibility, performance, and safety requirements of today’s demanding machine control applications. 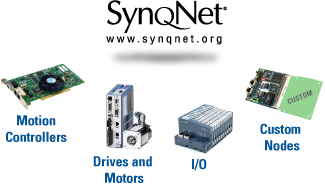 Built on a 100BT physical layer, SynqNet provides a synchronous real-time connection between motion controllers, servo drives, stepper drives, I/O modules, and custom devices. SynqNet continues to be the fastest interoperable motion and I/O network available on the market today. As of September 2008, SynqNet networks control over 400,000 axes of motion on a variety of high performance motion applications worldwide. Don't forget to register for the SynqNet Interest Group to stay up-to-date with the latest SynqNet developments.